Charles Bradley, The Screaming Eagle of Soul, would have turned 70 last month. He passed away last year from stomach cancer, and the music community is still filled with sorrow over his death. It’s not that Charles didn’t live a full life, it’s just that he didn’t get to live it long enough. Bradley was abandoned as a child. He experienced a period of homelessness and suffered constant poverty until late in life. He lived with the devastating murder of his brother, Joe, by his nephew and still walked thru life expressing the concepts of joy and gratitude to every single person he encountered. The film “Soul of America” chronicles Bradley’s journey from living in the projects and working in the New York Club Scene as James Brown impersonator, “Black Velvet,” to gaining international recognition with the support of his label, Daptone Records. During the course of this film, he struggles to learn reading in his sixties while caring for his elderly mother and survive till the next gig. Eventually, we see Charles Bradley emerge on stage as himself and fly high as The Screaming Eagle of Soul. What makes “Soul of America” such an outstanding movie is the authenticity of Charles Bradley. It’s a simple story about a singer working diligently and struggling to make it big against horrible odds. Bradley is the real deal, and it’s amazing to watch him find his voice. 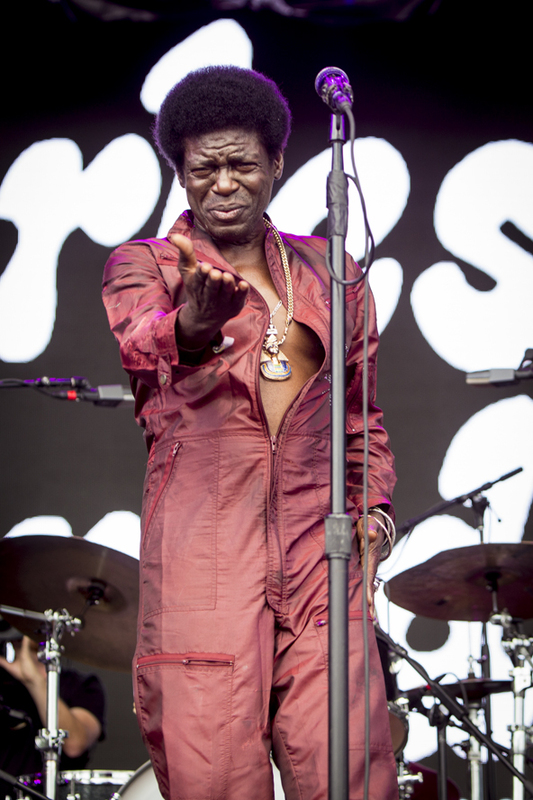 In his last half decade, Charles Bradley was known for his highly emotional and riveting live shows. He and his band played venues and festivals across the globe including Coachella, Glastonbury and Primavera Sound. Bradley also performed on many famed stages including NYC’s Beacon Theatre and the Apollo Theater—the same place his sister took him to see his idol James Brown perform when he was just 14 years old. Black Velvet is a celebration of Charles Bradley’s life and is sure to join his first three albums as an essential soul record. Though chronologically the material spans Charles’ entire career, this is no anthology, greatest hits or another shallow rehashing of the songs that already made him famous. Rather, this album is a profound exploration through the less-traveled corners of the soulful universe that Charles and his longtime producer, co-writer and friend Tommy “TNT” Brenneck created in the studio together over their decade-long partnership. It features new songs recorded during the sessions from each of his three albums. Charles Bradley was not a cut-out version of James Brown, but his own man, belting out deeply moving messages and a powerful artist in his own right. His heart was full of love, but he was not immune to pain.